Space is for everyone, no exception for these cute little explorers. To follow their curiosity, they are using their own small rovers. The models are based on Mighty Micros set. 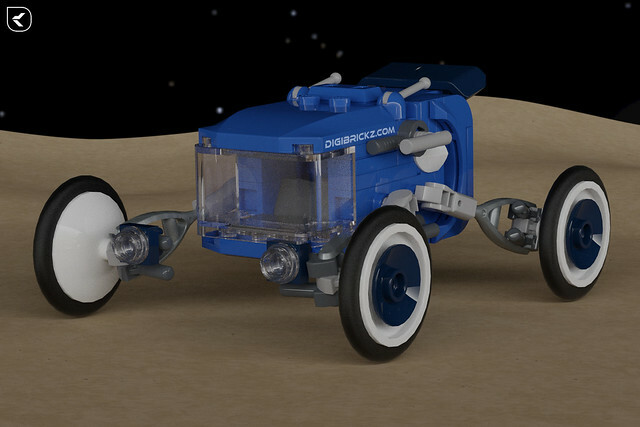 The left rover is inspired by or as a tribute of 886: Space Buggy and the right one is my own design. Both of them are built with similar width and length, large parabolic antenna, also classic-space color. It is sure a real Mighty Micros rovers. Gas is an important thing for rover. Because the spacemen sure don’t want to explore the planet only by walking with their legs. And this is the job for this tanker, bring the gas to the spaceman’s base. 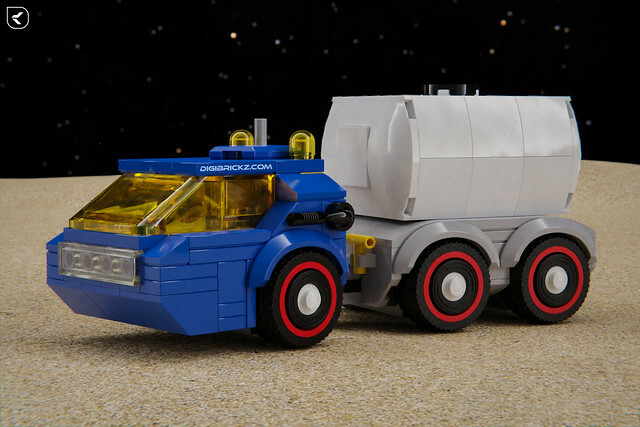 The model is built with classic space livery, completed with red wheels and retro-futuristic look. 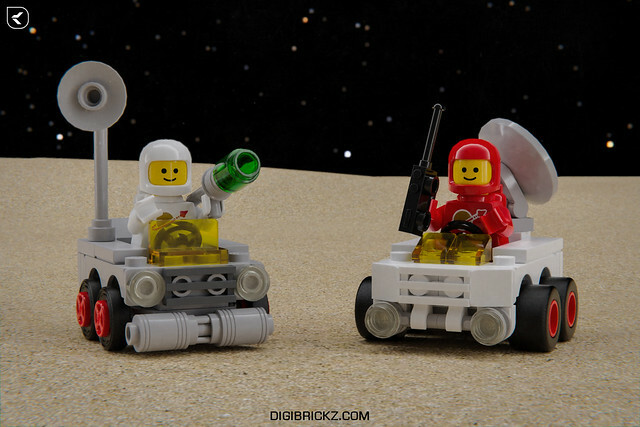 Space racing vehicle concept in LEGO is always cool. But for this scale with much detail is more awesome. This spacecraft by Victor is so compact. Even though the scale is small, he already mix technic with system in one build and even built with NPU, the heart of the vehicle is done with Axl’s torso (Design ID 24128). 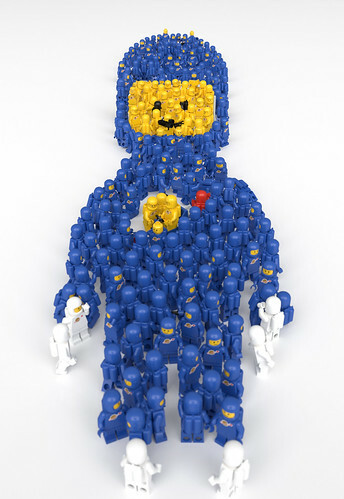 Building something huge in LEGO Digital Designer (LDD) is somewhat unusual. But sometimes there’s a people who still doing it. This gigantic Spacecraft by Max is an example of it and it’s truly beyond awesome! Just from the shape and size of it you may already think that it is awesome, but it also had full interior for “minifig” worker and that very nice detail. 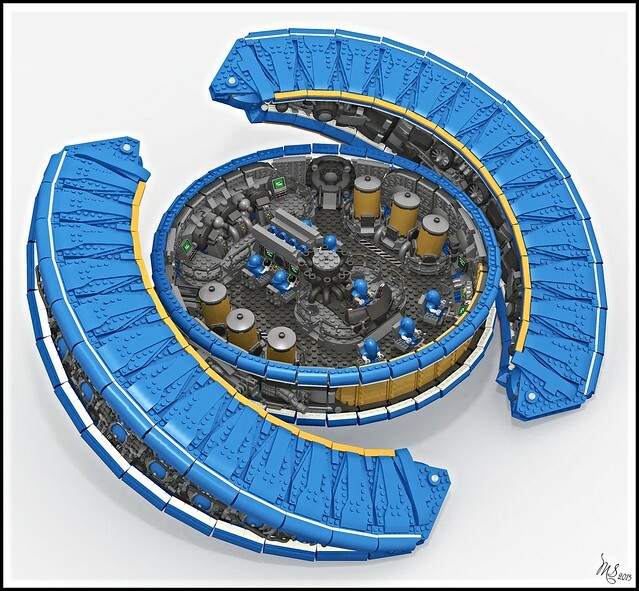 If you see a creation like this you may already asked for the parts count, the answer is it is made up from a whopping 12113 pieces! If you already curious with the interior, here’s the interior of it. The interior offers all of the spacecraft and the workers’ needs including control panel and power system. You can see more detailed view and the previous color of this giant in his Flickr album! 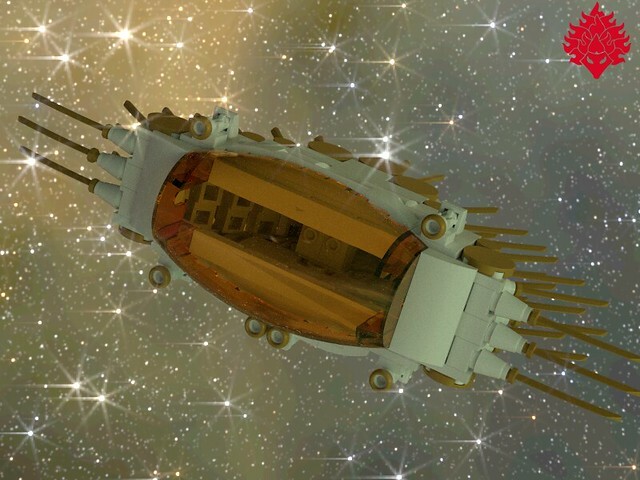 There is no limit when you create a LEGO Spacecraft, you can use your big imagination to create anything – in LEGO form. This Starfighter spacecraft by Umbra-Manis is completely a wild design. What makes this so unique than any other LEGO spacecraft is the uses of a dozens of sharp ninja sword as somekind of wings. The selection of the color is also unique but simple, those are white, gold, and the trans-orange as the wind-shield color to complete the model. February has ended, but not for FebRovery. Recently I add a photo of this creation below in FebRovery group and still can be accepted. Main idea of this model is to use a car mudguard (Design ID 98282) at that placement below. You may think of a minifig Crutch (Design ID 24077) but not that part. And to add more model for FebRovery (DUH). I don’t know why, but now I just really like to create a Space themed thing. There’s also a WIP space vehicle I am going right now, I will probably post here. 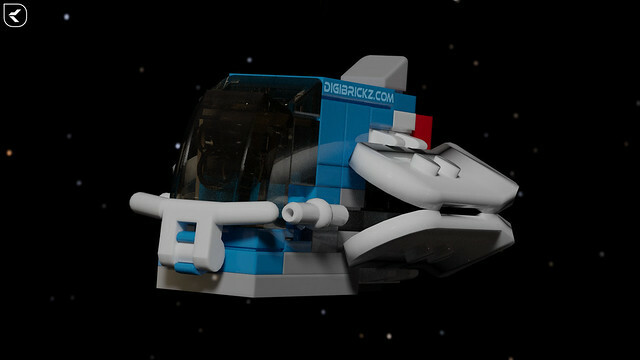 But for now it’s just a micro spaceship and my it’s own design, not inspired by a movie (like my NEO Fighter). 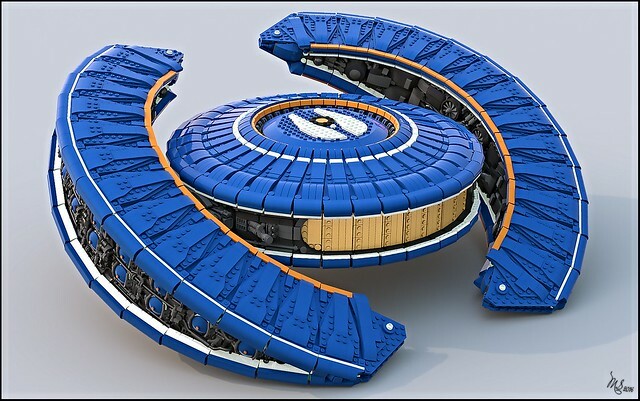 There are many cool concept vehicle designs out there, but a LEGO Digital Designer (LDD) Builder, dunkleosteus_ldd has made an amazing concept vehicles with LEGO. The first one is some short kind of rover, named Spinner W-6. It’s just really unbelievable to see how wheels are made up! He is using 75937, 15712, 2654 for the wheel design, even they’re connected, but I’m not pretty sure that it will be strong enough to connect in real life. Not just that, there’s also many NPU (Nice Part Use) in this model! 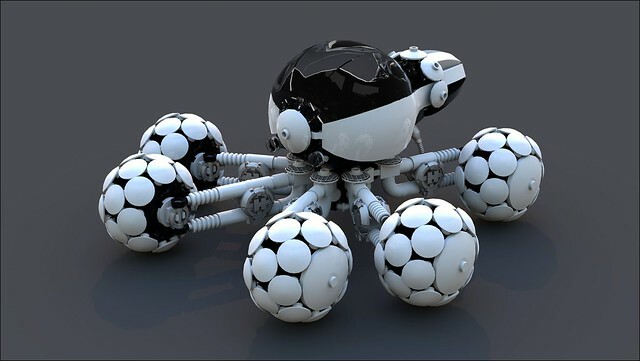 The second one is some kind of drone, a space vehicle and it named 4Shell, you may know why is it named like that. It’s using the same technique as the wheels of Spinner W-6 (model above), but it’s for a turbine or propeller. I just love how smooth is these models. Though not many people already using 18969 and 20455, but he already use them very good! You probably want these vehicles were created in real life.. 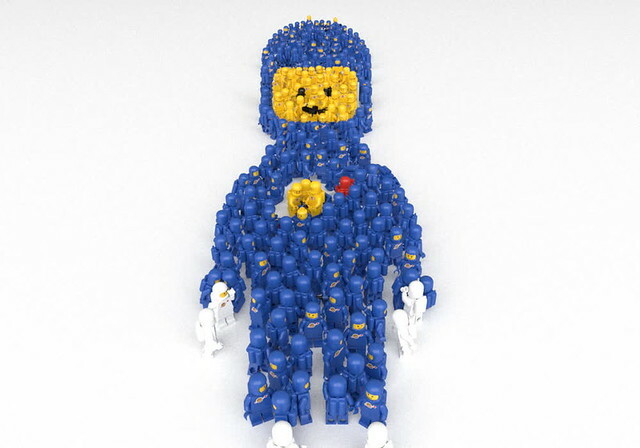 Though it’s rendered using Bluerender, but it’s still an eye-catching model! You may want to see more view of these model in his Flickr page. 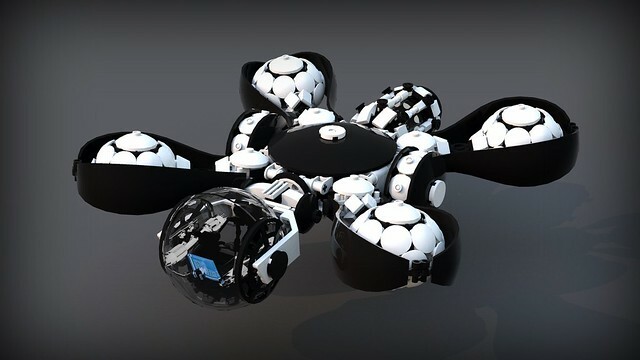 TIE Fighter for NEXO (Space) Knights! 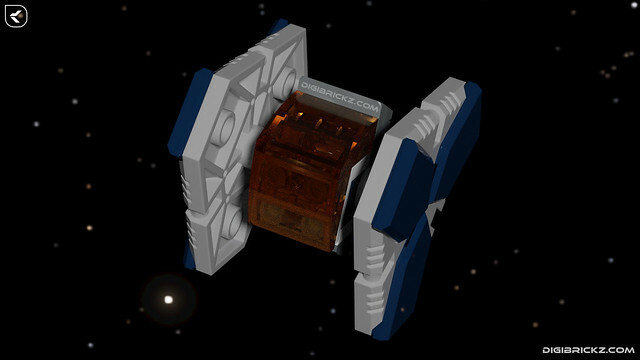 Pew-Pew, I have built a TIE Fighter Inspired spaceship but it’s not for Dark Side, it’s for NEXO (Space) Knights! 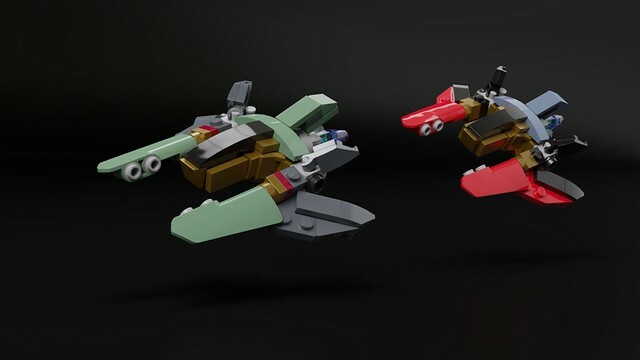 This Fighter is created as an attempt to use LEGO NEXO Knights’ NEXOgon for a unique creation. The name, NEO Fighter is because it’s inspired by TIE Fighter from Star Wars movie. Called NEO because this model using NEXO Knights parts, and I cut the NEXO to NEO. Probably not so weird name.. This model is rendered using Blender and in this render, I use Filmic Blender for Photorealistic image. Probably the render of the model not blend/mix with the scene. But anyway, hope you like it! As a Digital/Virtual LEGO Blog, I should probably mention what software did it use, this stunning creation is rendered using Blender.. There is even some small classic space sets, also Benny minifig from “The LEGO Movie” hidden there. In the picture above, you can’t see them, but in this side view and video, you can get better angle of everything..
Click for a better view..